The new report published by the Business, Energy and Industrial Strategy Committee focuses on the potential of small business to make a bigger impact on UK productivity. Small businesses – SMEs – represent 99.3% of the UK economy and have, understandably, become the focus of the productivity debate. Unlocking the productivity puzzle demands better understanding of this highly heterogenous group of businesses, and in turn how low productivity might be addressed. The wide-ranging variations in productivity of UK businesses have given rise to the now infamous long productivity tail, shown in Figure 1. The tail is complex, and while there are examples of more productive businesses of different sizes and in different sectors across the UK the evidence shows that smaller businesses tend to be less productive on average than their larger counterparts. At the same time, research by the Centre for Cities contends that this is in fact the ‘wrong tail’, and that the cause or cure to the productivity puzzle is unlikely to reside in the long tail, and instead the emphasis should be on exporting, or tradeable businesses. While conclusions drawn from the research differ as to the cause and consequences of the long tail, focusing on small business has the potential to have a meaningful impact on the long tail, and represents an opportunity for more experimental approaches towards the productivity puzzle. The UK is an attractive place to start a business and has a generally strong business environment. Government policy relating to aspects of business (e.g. export, finance, employment), as well as to different policy areas ranging from transport to energy, and planning to science have undoubtedly contributed to this. While the ongoing work of Productivity Insights Network aims to rethink the experimental approach of Government policy from silos to the system, the BEIS report also highlights the need to consider the support available to SMEs to help them become more productive. Despite productivity being a political priority, there are not many small businesses that think in terms of productivity. Instead, the focus tends to be on profitability, if they have their sights set beyond their immediate survival. As the BEIS report notes, there is a need to raise the ambition of entrepreneurs to grow and scale their businesses. Another related aspect raised in the BEIS report, that was announced by the Chancellor, Philip Hammond, in the 2018 Budget committed to support leadership, business development and technology adoption for SMEs. The BEIS report references the nature of and need for business support. However, the What Works Centre for Local Economic Growth found that of 23 evaluations on business advice that met the minimum standards 14 had a positive effect on at least one business outcome, 5 had no effect, and 4 had mixed findings. The evidence from this systematic review offers guidance on how to develop programmes and improve policy effectiveness, while also emphasising the need for clearer objectives against which to assess and evaluate success and value for money. This is likely to become more pertinent in the preparation of Local Industrial Strategies, which aim to increase regional economic productivity. In order to redress the spatial variations in regional productivity, SME policy typically pursues locally-led approaches to improve growth and productivity. If Local Industrial Strategies are to be effective, they do need to be local in more than name – they will require the requisite autonomy and resources to design and deliver local solutions appropriate to the sectoral and firm profiles of those localities. Moreover, these solutions need to meet the challenges of the small businesses that they seek to support on their own terms if they are to improve both the businesses and ultimately the place where they are based. This means adopting strategies that are sensitive to the diverse needs of firms of different sizes and that incentivise growth across a spectrum of dimensions. Productivity in SMEs: Management Practices or Effective Leadership? As the UK has started to grapple with the challenge of stagnant productivity growth over the past decade, increased attention has turned to questions of how to raise productivity in the small and medium enterprise (SME) sector. This is one important element of the work of the Productivity Insights Network. SMEs are highly diverse and, while they account for three-fifths of UK private sector employment and just over half of UK business turnover, the range includes both ‘frontier’ performers and low productivity laggards. A recent McKinsey Global Institute report provides a very comprehensive national-level analysis, highlighting both issues of changing demand patterns and patterns of business investment and innovation, as well as ‘deep dives’ into a number of key global business sectors. But the McKinsey analysis focuses very much on the significance of the big corporates and has relatively little to say about the importance of innovation and productivity in the small business sector. This is odd given the numerical importance of SMEs and the contribution of SMEs to the economy. Influential recent research has focused on the importance of effective management practice as a driver of productivity. A recent survey conducted by the UK Office for National Statistics, covering 25,000 UK enterprises of all sizes across manufacturing and services, computes a management practices score (normalised as an index between 0 and 1) from reported use of a range of practices in four key areas of use: continuous improvement (lean) techniques, key performance indicators, management targets and employee performance. The key finding is that an improvement in the score of 0.1 in a given business is associated with a 9.6% improvement in labour productivity. However larger firms, and foreign-owned firms are much more likely to report higher use of management practices that smaller, and family-owned ones. I want to highlight two particular issues relating productivity improvement in SMEs, in the particular context of small (below 50 employees) rather than medium sized businesses. The first concerns the importance of successful SME leadership. The second concerns the ‘mediation chain’ through which business practice translates into better productivity. On the first of these, my own experience is that SMEs vary enormously in their attitudes to innovation and growth, and in the leadership capacity of their owner-managers. This is something that UK policy officials and statisticians in BEIS and ONS are beginning to recognise and investigate, and is central to the recent UK Industrial Strategy. Evaluation of hands-on working with SME owner-managers suggests that productivity improvement may be as much to do with the personal skills, attributes and mind-set of the business leader. 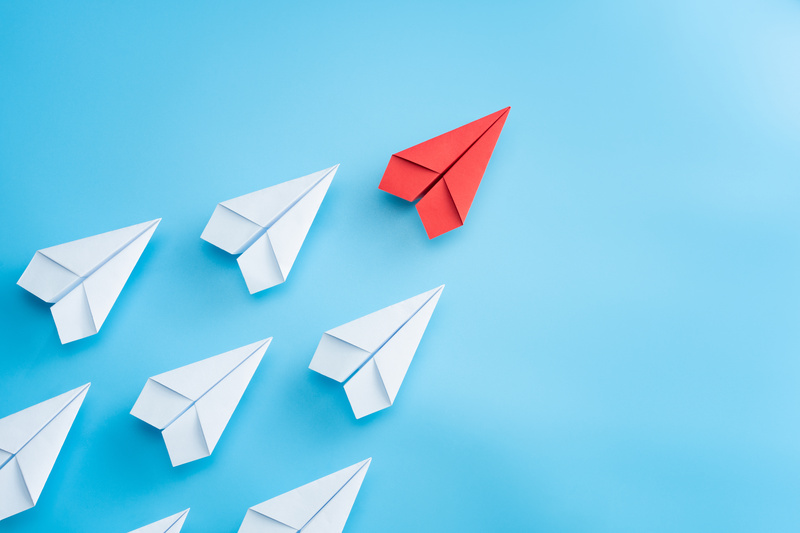 It is only through improvements in leadership skill that SMEs are able to introduce effectively those changes in management practice, as seen in the ONS analysis, that lead to better productivity. We can’t assume, in the absence of any improved ability on the part of the business owner, that ‘box ticking’ a range of good management practices alone will enhance productivity. On the second issue, my own recent research undertaken with my colleague Dr Meng Song at Cardiff Business School suggests the following. 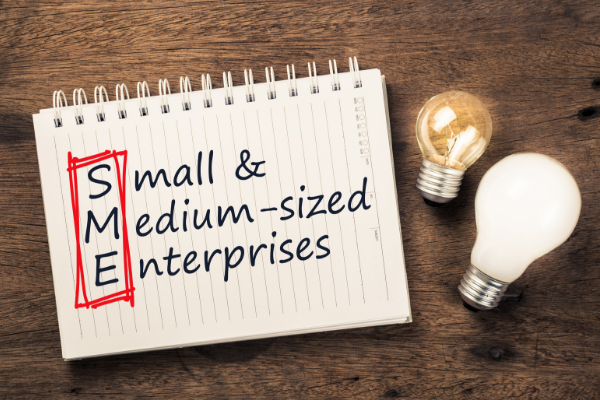 For the smallest of SMEs, it is the need to innovate, often to take advantage of emerging international market opportunities, that leads to productivity improvement. Yet in the recent sample of UK micro-businesses analysed, only 11% of micro-businesses (under 10 employees) have brought to the market new product, service or process innovation in the last three years, and only 17% derived any sales from exporting. However, the data suggest that it is the self-imposed discipline of selling internationally that necessitates innovation and leads to improved productivity. So management and leadership advice and support that promotes innovation and encourages exporting is most likely to yield better productivity for these businesses. Both of these issues offer pointers towards why there is such a diversity of performance across the SME sector. They also suggest that the design of appropriate support for productivity enhancement in small businesses is challenging. It needs to be targeted carefully towards business owner-managers who have both an appreciation of the market opportunities they face, and a realistic appreciation of how and why their own management and leadership practices need to adapt to address those opportunities.